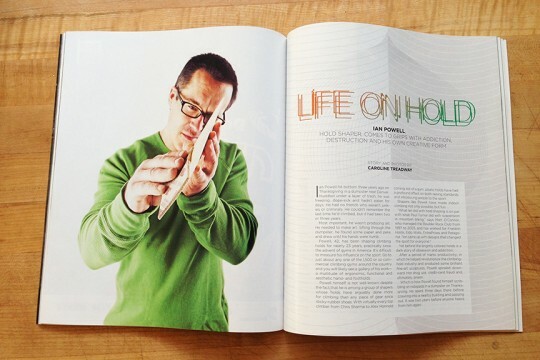 This fall I worked on long feature for Rock and Ice about climbing holds, addiction and the life of hold shaper Ian Powell that’s appearing in the April issue right now! It was an intense few months but an incredible opportunity to grow as a writer and photographer. 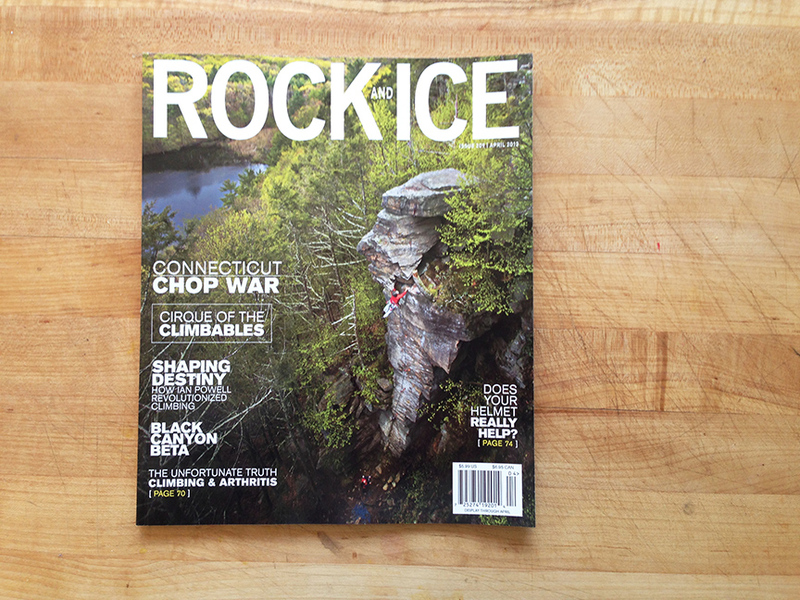 Thanks to Ian Powell and Andrew Bisharat and all the awesome editors at Rock and Ice for making this story possible. Adventure Film Festival, Boulder, Colorado. I shot the Adventure Film Festival at the Boulder Theater this past weekend and will post photos soon…In the meantime, here’s a photo of Jeremy Collins performing Saturday night. 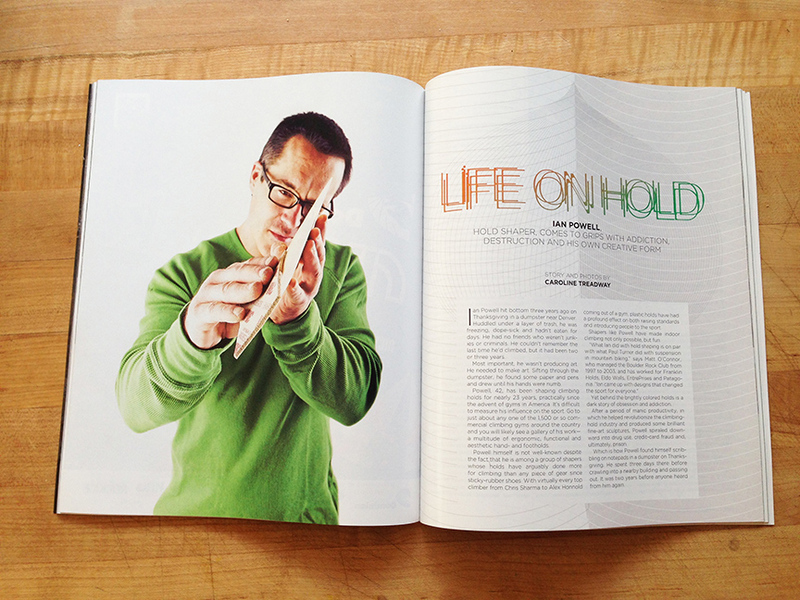 I wrote and shot this Perspective on Sam Elias in the current issue of Climbing. Psyched! Our two hour interview boiled down to half a page, whew! There were so many good quotes to choose from…I love Sam’s connected, honest approach to climbing, so refreshing. Timelapse of Hallett Peak from Caroline Treadway on Vimeo. Here’s a timelapse taken during a bouldering session at Hallett Peak in RMNP. Courtney Woods topping out in Joe's Valley. Here’s my photo of the day. I like it because it’s simple, clean and reminds me of long climbing days, the best! Alex Puccio, Silverback, Mt. Evans, Colorado. 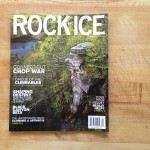 I contributed photos for Abbey Smith’s recent article in Elevation Outdoors on alpine bouldering in Colorado. Check it out! Classic Alex Puccio on Silverback, Chad Greedy on the Kind Traverse and Jeffrey Landman on Skipper Roof in RMNP! Read the story here. Christa Brelsford and her puppy, photo by Caroline Treadway. I wrote a story recently about Paradox Sports for a really cool publication called Elevation Outdoors. I met great people and learned more about prosthetic limbs than I ever thought possible. Climbing’s hard by itself, nevermind when you’re missing a body part. But with or without all the parts, it’s still climbing, it’s still hard and it’s still tons of fun. Bob Kimbro carries his feet to the crag. They are toy-sized, electric blue climbing shoes almost small enough to fit on a keychain. Kimbro screws the shoes into metal posts where his ankles used to be, ties into the rope and scrambles up a limestone pillar at Shelf Road, a climbing area near Canon City, Colorado. It’s a typical day at the crag with Paradox Sports. Ropes spill out of backpacks, climbers work on problems and puppies curl up in the dirt amid random body parts—legs and feet—strewn around the crag. Please read the rest of the story here. Chaos Canyon Timelapse from Caroline Treadway on Vimeo. I got really into timelapses when I went to Patagonia this year with Tim Kemple and The North Face. And lately I’ve been doing one almost every time I go climbing. They can definitely be too much sometimes, but it’s fun to experiment. I’ve learned that a sturdy tripod is key! Here’s a timelapse of Chaos Canyon from Lake Haiyaha, Rocky Mountain National Park, Colorado. Untitled from Caroline Treadway on Vimeo.